Last week's snow day gave us plenty of time to make a slow and methodical pot of coffee. Brett just got a kitchen scale and was excited to put it to use. We followed directions from the best of the best - Stumptown! Measure 56 grams of coarse coffee grinds. 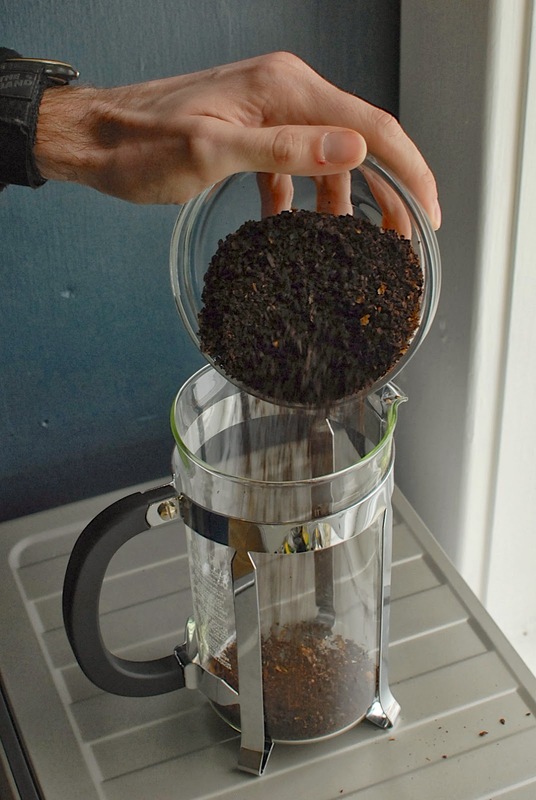 Empty the grinds into the french press. Add boiling water to the grinds. Let sit for one minute. After one minute has passed, stir the mixture. Let sit for another 3 minutes. Put the top back on and plunge. Bottoms up! That's how we do it every day! Well, we don't measure it by weight (5 scoops with our little special pewter spoon), but the timing thing is right on.